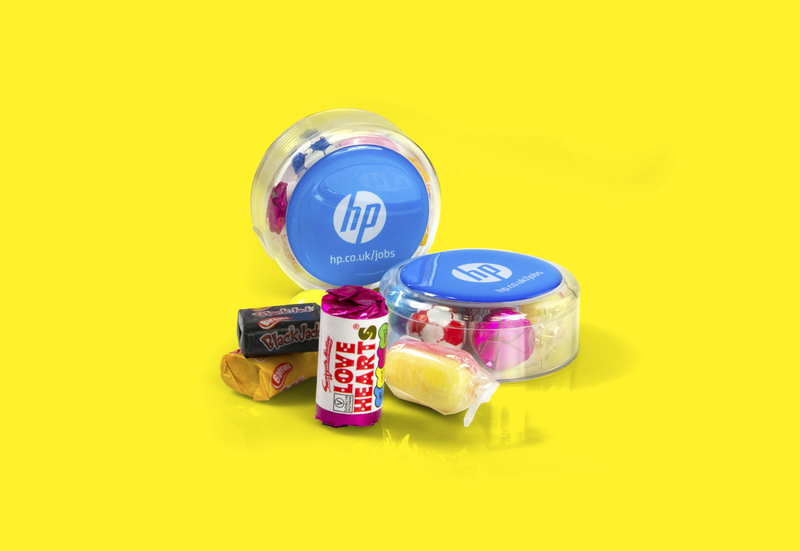 Plastic pot containing a selection of retro sweets. The pots are decorated with an epoxy domed decal. This product is a favourite for when a super quick delivery date is needed.